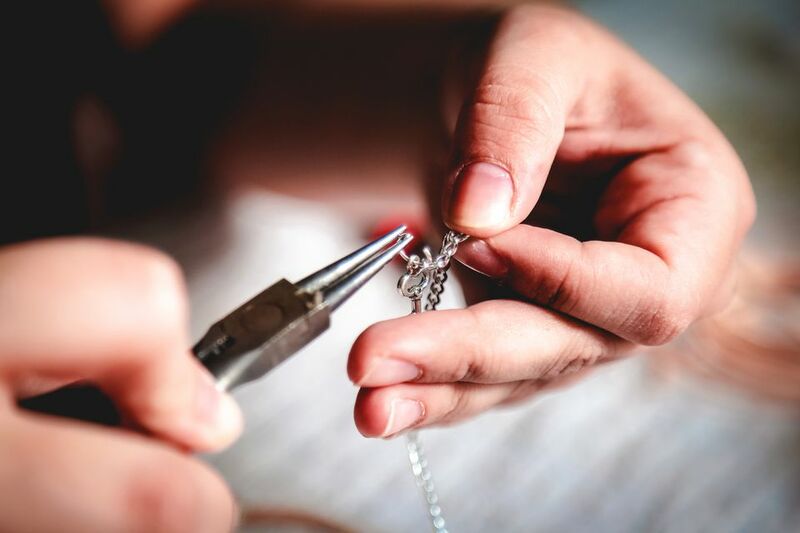 Knowing how to make jump rings is a very handy technique to know when you make jewelry—no matter what type of jewelry you intend to make knowing how to make a jump ring can be a lifesaver. There are a couple of different ways to approach create jump rings. The first is the "proper" way that you are shown if you ever have the opportunity to take a silversmithing class. The second is the "I’m too lazy to dig around for my saw and need a jump ring right now," quickie kind of way. If you are going to solder the rings together, do it the proper way. If you just need a jump ring to complete a beaded necklace and don’t need to solder it, then the second way works just fine. The size of wire or dowel depends on the size jump rings you want. The larger the dowel, the larger the jump ring. This project uses 20 gauge silver wire and you can use whatever you have around. You can use just about any gauge. First, with your thumb, hold the end of the wire up against the dowel rod so that the end is flush with the dowel rod. Wrap the wire around the dowel rod over and over. Other than the first and last wrap, each wrap around the dowel rod will equate to one jump ring. 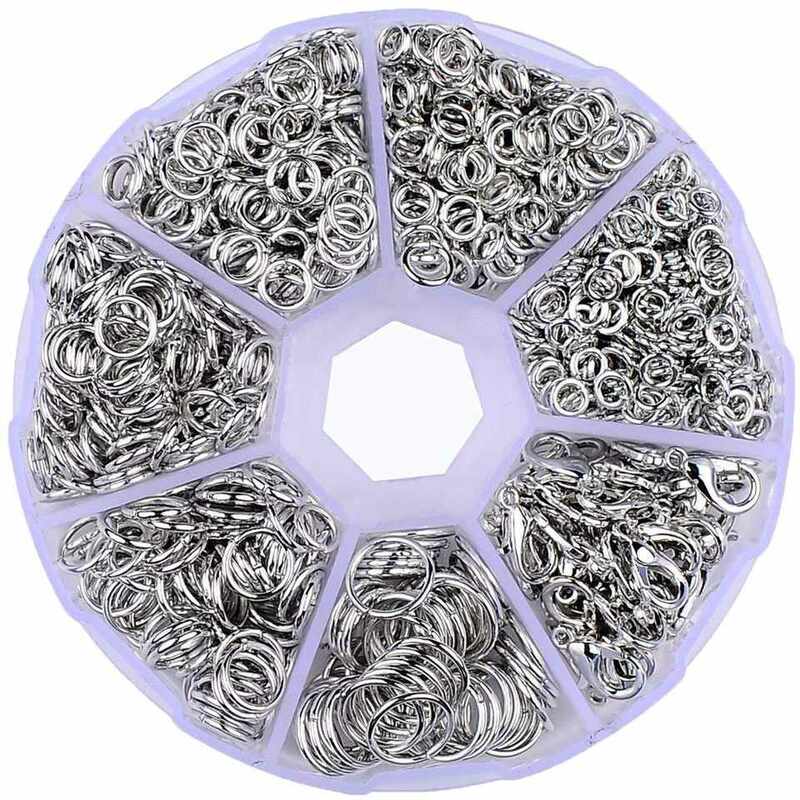 The number of rings you need will determine the number of times you need to wrap the wire. Even if you only use a few jump rings for the current project, it may make sense to make several extras so that you have some ready to go for the next project you tackle. Next, rub beeswax on the blade of the saw a few times. Slide the wire off the dowel and hold the coil with one hand and rest the wire on a bench block or other sturdy surface. Using your other hand, start sawing vertically on the wire. Continue to saw until you work through the coil and have separate rings. Now you have rings, but you need to file the unfinished ends of each ring so it fits together. Use a jeweler's file for this; file in one direction, not back and forth. The method is very similar to filing your nails, but don't try to use a regular nail for this because it won't be strong enough to smooth out the wire. If you plan on soldering the ring closed, it is critical to ensure the ends are as flat as possible, so they can meet and fit against each other closely. Soldering would be necessary if you plan to make a chain out of jump rings. This is unnecessary if you are just going to use the ring on the end of a necklace or bracelet. In fact, a number of jewelers who often make jump rings that aren’t soldered when used like this for safety reasons. This way, if you catch your bracelet on something, your bracelet will ​​break instead of your hand being harmed. Follow the instructions above for the "Proper" Jump Ring Technique, except instead of using the saw to cut the rings, use your wire cutters and cut each ring in half. The ends of each ring will not be as smooth as the ones done using the saw, but they aren’t too bad. Now, file as previously described. That’s it. Quick, huh? One more item about jump rings that may be helpful is how to close them properly once you have filed them. Either using two flat nosed pliers in each hand or just one pair of pliers and your finger, bring the ends of the jump ring together. You will need to move one side of the ring away from you and the other side towards you at the same time. Continue to do this until you hear the two pieces snap. Now they should be closed nice and tight.